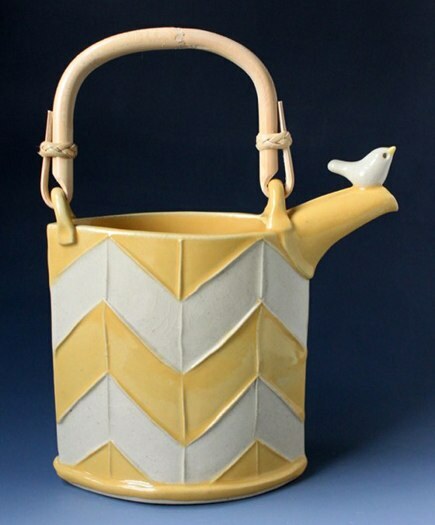 Made to order pottery perfect for holiday gift giving. The holidays are coming! The holidays are coming! I know, I know… Even though I don’t like to see holiday decorations out before Halloween, it is time to start ordering gifts for friends and loved ones that require custom order lead times. 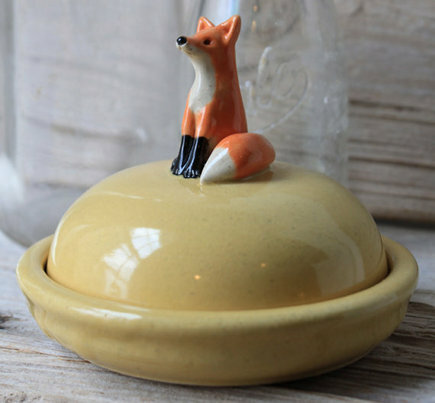 Tasha McKelvey creates animal themed pottery — clay work intended to be useful, “art that is mean to be touched.” The fox mini dish [above] is made of high-fired white stoneware, thrown on the potter’s wheel, with a hand-sculpted fox. And you can choose your own pottery color. It’s just the right size to hold cheese or store jewelry. McKelvey uses old barn wood to impress the clay work or adds tiny handmade animals or items from nature to the pots. Made to order pieces take four to six weeks to deliver, so make your list and check it twice.